HTML & CSS Made Easy comprises 147 pages of captivating content. All the examples are explained in great details using easy- to-understand language and illustrated with gorgeous Images. 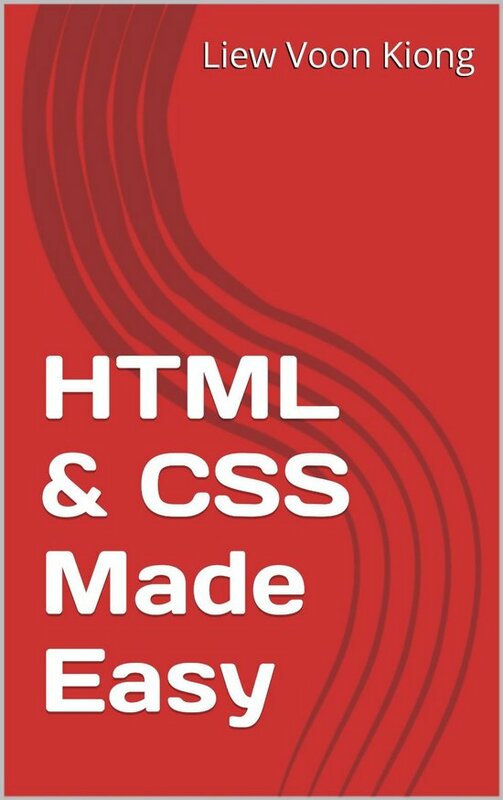 You will be able to master HTML, HTML5, CSS and develop great websites after reading this book.